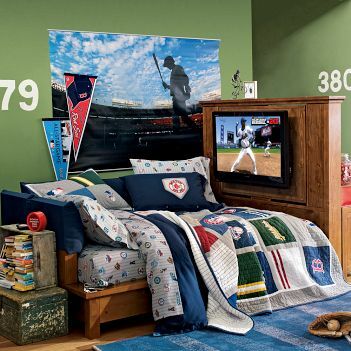 Get your sleep space suited up for game day. Designed for true football fanatics, this collection is available at PB Teen. 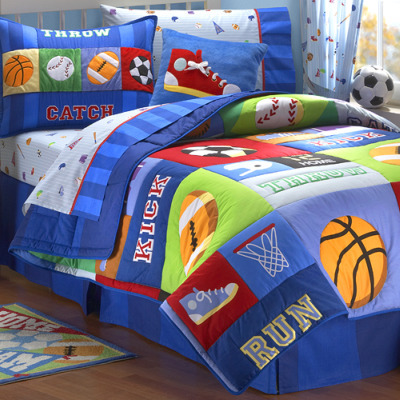 Your little sports fan will love the Game On at Olive Kids Bedding Set featuring sports balls, helmets, sneakers and much more. Available at olivekids.com. 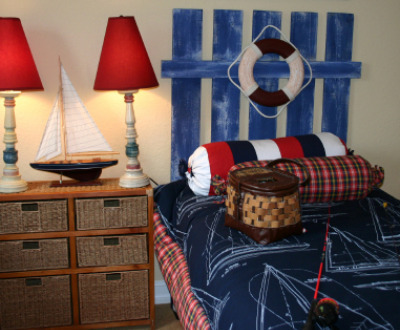 Get into the nautical theme by decorating your boy’s room with boats in a red, white and blue color scheme. 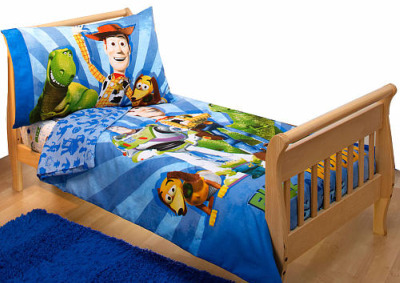 Your little one will adore this Toy Story bedding. Get the 4-piece set now at Toys “R” Us for $35.99. 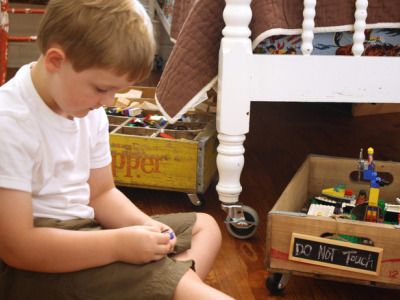 For a room that rocks, check out the Guitar collection from RoomsToGoKids.com. 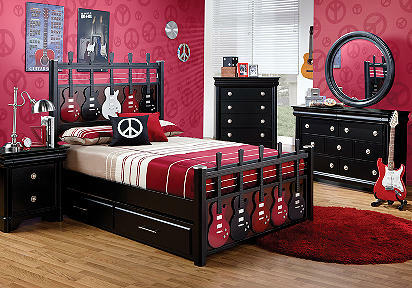 It features a cool bed accented with 3 dimensional guitars and “strings” across the head and footboard. 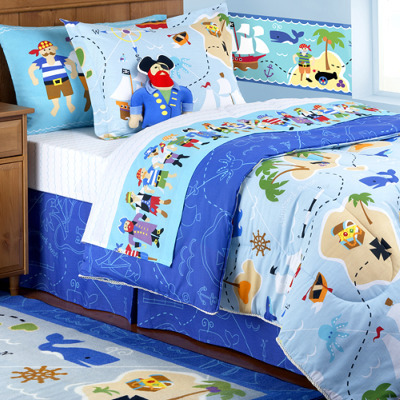 The Disney Pirates bedroom is a perfect place for a young pirate at day’s end. 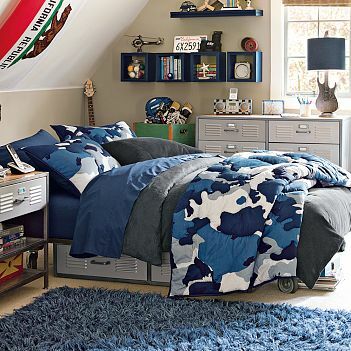 Get on deck for the season ahead with this bedroom collection from PB Teen. Get old-school style with this industrial-strength bed n from PB Teen. This unique setup from PB Teen was designed for sleeping, lounging, storage and more. 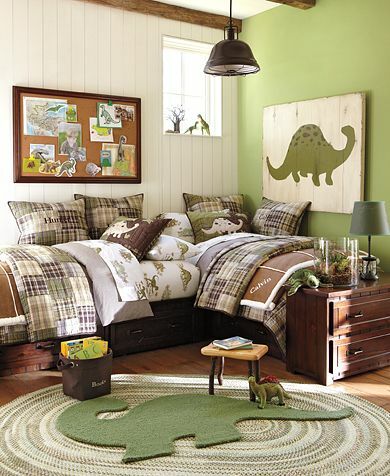 This dinosaur bedroom collection is available at PotteryBarnKids.com. 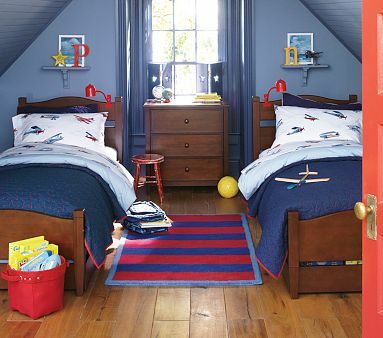 This airplane bedroom collection is available at PotteryBarnKids.com. 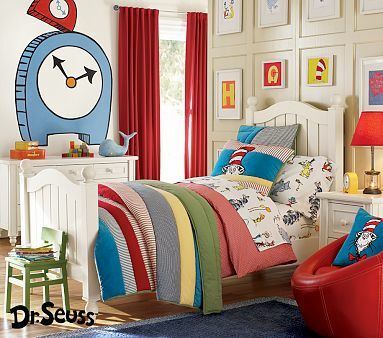 This Dr. Seuss bedroom collection is available at PotteryBarnKids.com. 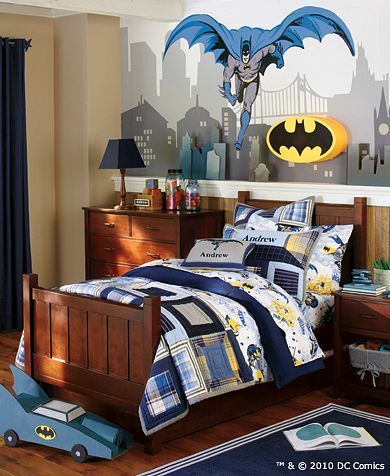 Inspire bold deeds and brave actions with this Batman bedroom set from PotteryBarnKids.com. 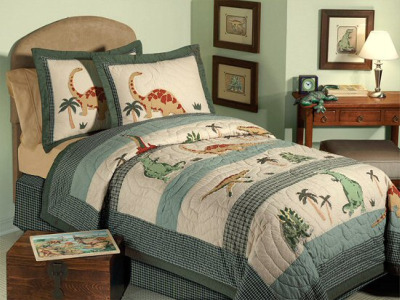 This boys bedding set features images of the Wild West including cowboy boots, a 10-gallon hat and more. 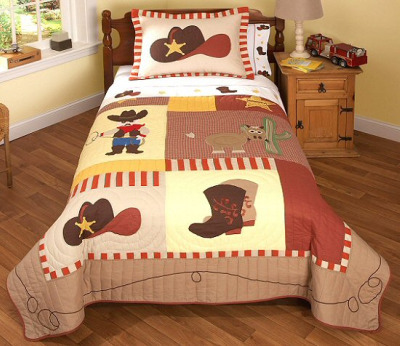 This Cowboy quilt and bedding set is available at kidsroomtreasures.com. All little boys love SpongeBob Squarepants. Get this 4-piece bedding set now at Amazon.com for only $37.00. Little boys love dinosaurs. This green bedding set features the quilt and shams in 100% cotton. Twin size just $89 at kidsroomtreasures.com. Ahoy matey! 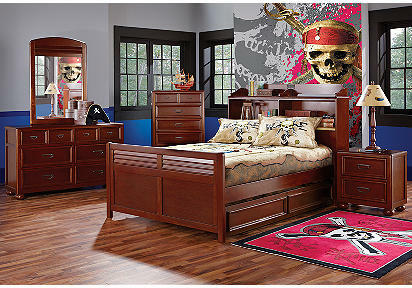 Your little swashbuckler will adore this pirate bedding set from olivekids.com. The set features pirates, a chest of gold, ships, maps and sharks. 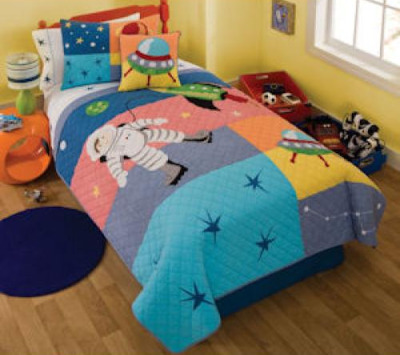 Stars, planets, rockets and UFOs highlight this astronaut theme quilt set. You can get the quilt and shams set now at americankidsbedding.com for just $87.99. 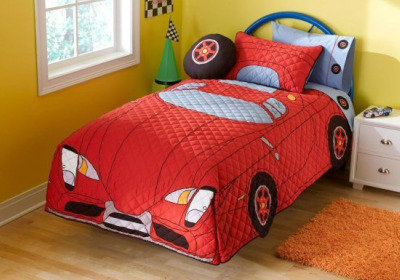 Dress up his bed to look just like a red race car with this bedding set. You can purchase the quilt, sheets, shams, decorative pillows, window valance and more at kidsroomtreasures.com.